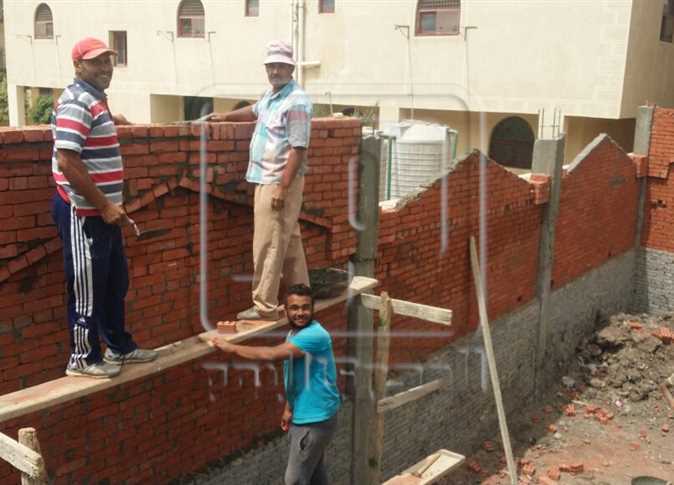 Father of the Egyptian football and Liverpool star Mohamed Salah, Salah Ghaly, reported that the charity project established by Salah in his home-village Nagrig, in Bassioun, has been finalized, and will be inaugurated in June. The project includes an Al-Azhar institute and an ambulance unit, both at about LE18 million, according to Ghaly. In an interview with Al-Masry Al-Youm, Ghaly claimed that his son refused to accept any financial assistance with the project. Salah decided to establish both facilities at his own expense, he added. The finishing of Al-Azhar insitute is ongoing, after which it will be handed over to the Al-Azhar Directorate of Gharbiya governorate. Many public figures and officials will be invited to the inauguration ceremony, including Al-Azhar Grand Sheikh Ahmed al-Tayyeb, and Health Minister Hala Zayed, Ghaly continued. The construction of Al-Azhar institute was noted as one of Salah’s dreams. The football icon worked hard to fulfill his dream to serve the people of his hometown Nagrig, his father reflected, where Al-Azhar students had to travel long distances to join the institutes in nearby villages. Ghaly added that the Mohamed Salah Charity Foundation provides assistance to both Salah’s village and its neighbors, and that Salah himself follows up on the charitable work. Mohamed Salah, apart from being an enthusiastic philanthropist, is the premier football icon across Egypt and the Arab world. The Liverpool forward lead a sensational season this year, sweeping almost every major award from the prestigious Golden Boot, to PFA Player of the Year, to BBC’s African Player of the Year (2017). Salah also helped lead Liverpool to the Champions League final. Considered the epicenter of Sunni Islamic studies, Al-Azhar is a Cairo-based institution which encompasses Egypt’s oldest degree-granting university, a prestigious mosque, and a network of over 4000 teaching institutes nationwide.